116 CDI DUALINER COMPACT SPORT . NO VAT ! . Mercedes Benz Vito Dualiner 116 Cdi Sport . Only covered 73500 miles and has a full service history. Sport model so comes with Air Con, Alloys, Bluetooth, sport mats etc, vehicle has been fully carpeted in the rear and comes with some lovely extras including overhead screen and updated speakers. 2x remote keys . Van will come with 12 months MOT and 6 months warranty. Px welcome and excellent finance rates available. 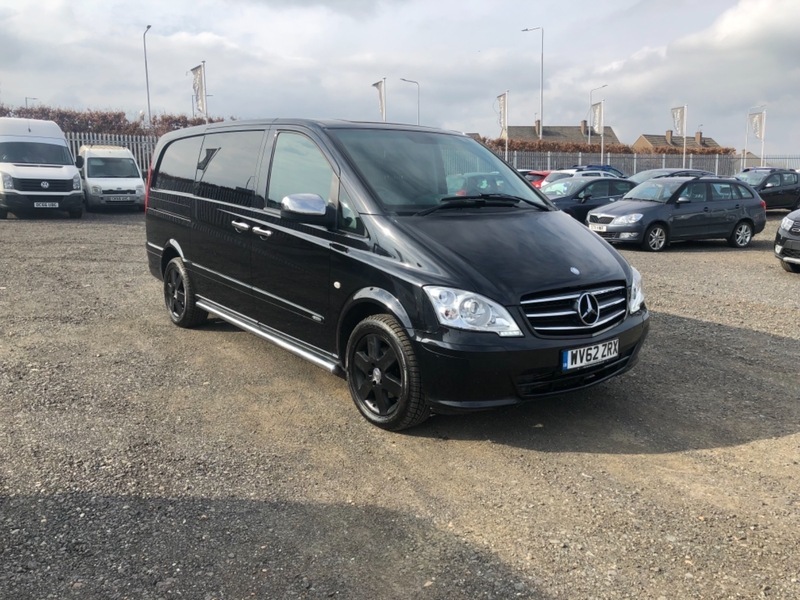 I would like to make an enquiry about your 2012 Mercedes Vito 116 CDI DUALINER COMPACT SPORT . NO VAT ! .